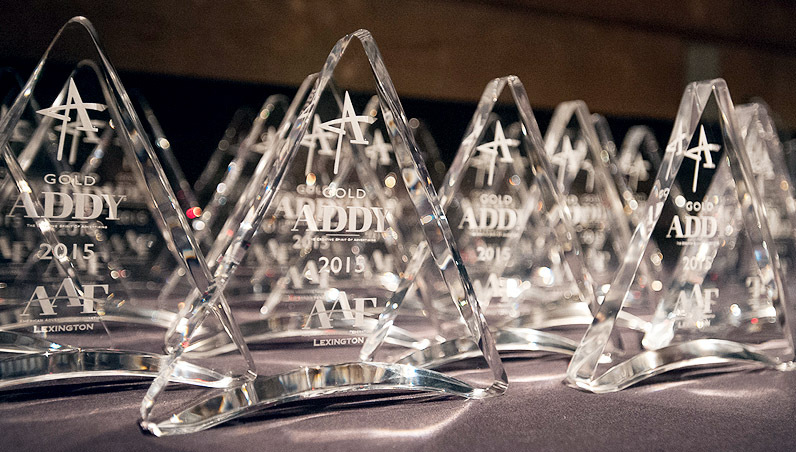 The 2015 AAF Lexington American Advertising Awards—fondly known as the ADDYs—was a celebration of the impressive creative spirit that drives Lexington and Central Kentucky. Agencies from all over gathered at the historic Lyric Theatre to see if they would be taking home the gold. The evening was a huge success, thanks to everyone who came out and had a good time! View photos from the AAF Lexington American Advertising Awards at the Lyric Theatre. Follow the link below for a complete run-down of this year’s winners. Big winners included Best of Show to Kentucky for Kentucky for Gold-Plated Kentucky Fried Chicken. See their acceptance speech here. 2015 AAF Lexington Scholarship Winner: Chelsea St. Clair, University of Kentucky.